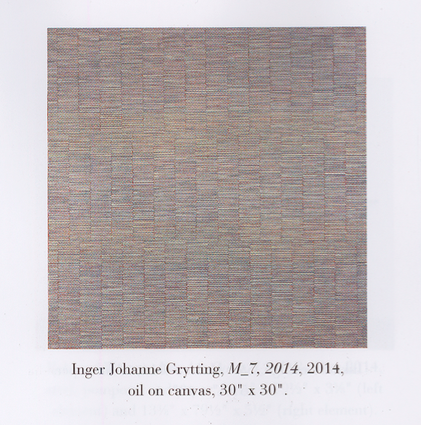 “Grytting approaches line in a different manner; she layers parallel lines in columns over a gridded oil underpainting, allowing imperfections to appear. The paintings, according to the artist, serve as a visual diary as her emotions influence the tension in her hand, which then produces different qualities of strokes. 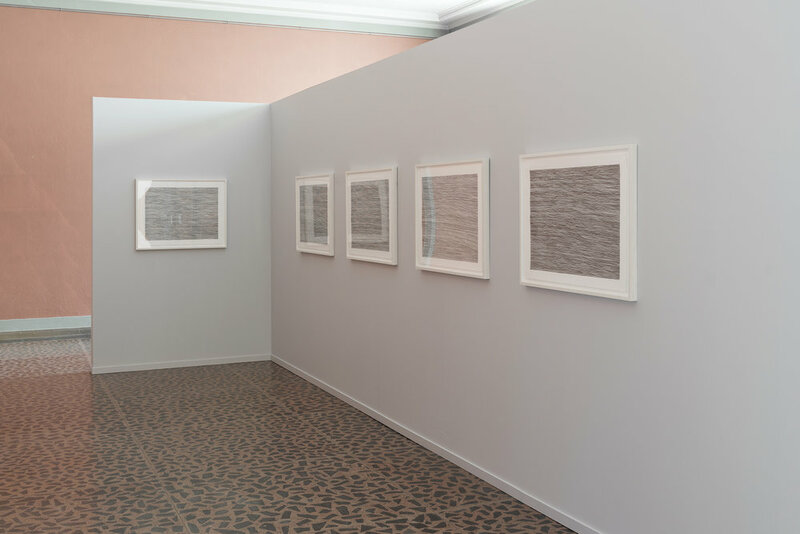 These subtle variations in Grytting’s lines are a defining trait of her work"